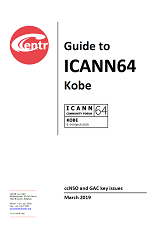 During its GA61 in Bordeaux, France, the CENTR community was invited to reflect on the on-going trend that can be observed in Internet Governance and its respective technical community: it seems that technical discussions are increasingly being "hijacked" by public policy interests that have traditionally been reserved for governments to pursue, such as human rights discourse and law enforcement needs. The panellists, who represent different corners of the technical community, were asked to reflect on whether this trend can be considered problematic and whether the technical community should or could do something about it, to enforce the true nature of the multistakeholder model of Internet Governance. In a nutshell: The European Parliament formally adopts the EU Cybersecurity Act and the Copyright Directive. The E-Evidence package receives further criticism in the series of Working Documents issued by LIBE. TERREG progresses speedily through the European Parliament’s committees. The European Data Protection Board gives guidance on the correlation of the GDPR and the e-Privacy Directive. 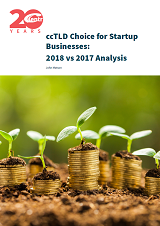 CENTR has just published the third paper of its 20th Annversary series, written for it by John Matson, entitled ccTLD Choice for Startup Businesses: 2017 vs 2018 Analysis. 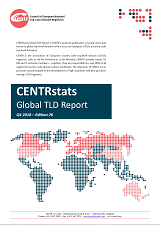 CENTR is the association of European country code top-level domain name registries. 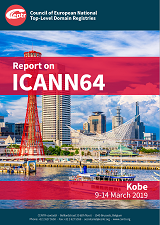 CENTR’s main purpose is to provide its members with a forum for exchange of information.